The Swiss Water process of decaffeination, also called the Water-Only process, uses water only (and no chemicals) to remove the caffeine from coffee beans, resulting in a higher quality taste than some other decaffeination processes. The process is more time consuming and expensive than other decaf methods, which comes along with a higher price tag for Swiss Water Process (SWP) coffee beans – typically well justified. The Swiss-Water Process, or Water-Only Process method of decaffeinating coffee involves first soaking green coffee beans (milled but not yet roasted) in hot water, causing the beans to release their caffeine and solids (coffee flavor materials) into the water, which becomes thoroughly saturated with all of the coffee’s soluble components except caffeine. The coffee beans are then discarded and the liquid is passed through an activated carbon filter that traps the caffeine, yet allows coffee solids to pass through. The resulting extract is known as GCE (green coffee extract), and it is then used to decaffeinatate a new batch of green coffee beans. The GCE is comprised of decaffeinated coffee solids. Thus when the GCE is used with a new batch of coffee beans all of the flavor compounds are in equilibrium in the solution except caffeine. As a result, only caffeine diffuses from these new green coffee beans. The GCE is then again put through an activated carbon filter that removes the caffeine. This decaffeination process is repeated until the coffee beans are comprised of only .1% caffeine (one-tenth of one percent). At this point the beans are dried out and most of their flavor qualities are left intact. The Swiss Water Process is also called the Water-Only Process and the Solvent-Water Method. Swiss water decaf coffees are a great way to reduce your caffeine consumption while helping to deal with the caffeine withdrawal side effects, so that you can continue to enjoy coffee’s health benefits. 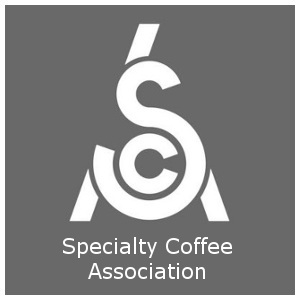 For detailed definitions of decaffeinated coffee terminology see the Espresso Coffee Guide’s Coffee and Espresso Glossary. 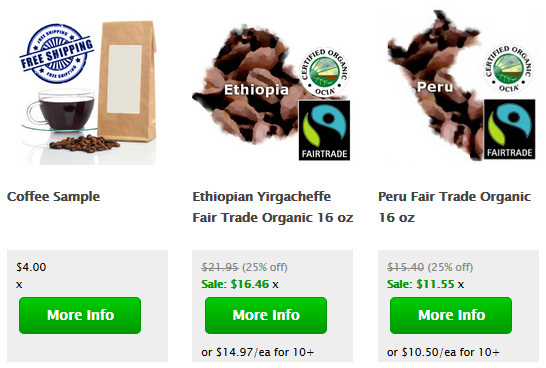 To read about specialty coffee flavor profiles see Gourmet Coffees. For step-by-step instructions on how to make great decaffeinated espresso drinks see Pulling A Perfect Espresso Shot, How to make Lattes and Cappuccinos, and Espresso Drink Recipes. If you enjoy learning about the rich past of coffee and espresso then see World’s Best History of Coffee.